New Assetto Corsa Series starting December 3rd!! Sim Racing System Sim Racing System News New Assetto Corsa Series starting December 3rd!! New Assetto Corsa series starting December 3rd! Car: BMW M3 GT2, Ferrari 458 GT2. (11-30-2018, 10:07 PM)Michael Martin Wrote: FORDS! Another great selection of Series! Finally GT2 Series coming this season! Which one is correct? 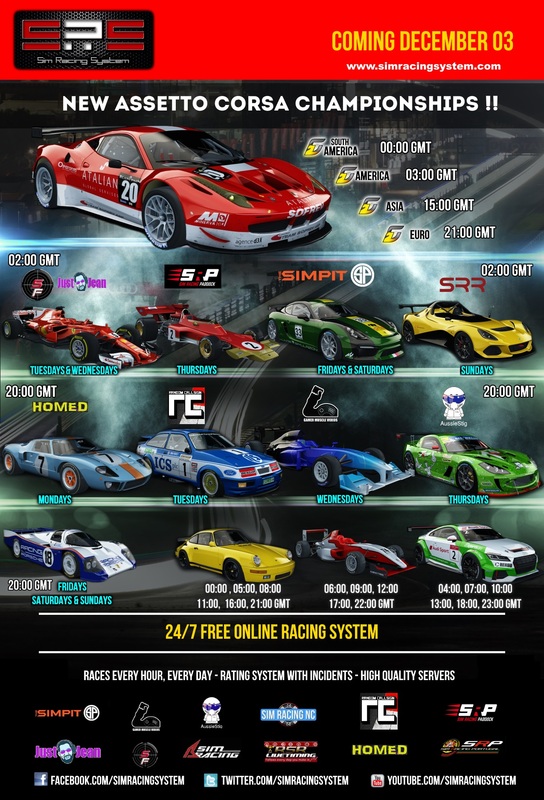 14:00 or 15:00 GMT (for GT2 Asia)? Yeah, it has been a while since I sat behind the virtual wheel of the Yellowbird, but I do remember it being something that required practice. Something about 25% of the grid on daily races don't seem to do all that often. It'll be interesting, at least! Thank you SRS for giving a dedicated series for latam drivers!